Years ago, many people thought that a simple wash was enough to keep their car looking good. Unfortunately, the elements are far from kind and, if you want to protect your car, you need to invest in the right products. Over time, we have seen a number of companies produce various types of car treatments but none quite as popular these days as ceramic coatings. Despite this popularity, many people still have questions. One of the top questions being the difference between wax and a ceramic layer of protection. It’s important to understand that these two solutions are both beneficial but they are also very different from one another. Understanding these differences is the key to making the right choice for you and your vehicle. Ceramic coating like Ceramic Pro is applied in the form of a liquid polymer. Once applied, it chemically bonds with the car paint. This creates a strong layer of protection over the existing clearcoat of the vehicle. Car wax, on the other hand, is essentially wax blended with different oils and solvents. They are blended with other substances for a number of reasons, including the fact that it’s too difficult to spread hard wax all over your car. Car wax made from natural products requires more frequent treatments whereas synthetic waxes tend to last longer. Still, you will need to wax regularly in order to keep your car protected and looking good. Both ceramic coatings and wax are designed to add a layer of protection. The difference is in the way the product bonds with the paint and this determines how often you need to reapply the substance. Wax needs to be applied more regularly if you use your car regularly. If your car is only used on occasion and only in fine weather, you might not have to wax as often. Ceramic coatings do not need to be applied every few months. You may only need to apply again after 2 years or more. Again, if you don’t use your car too often, you will not need frequent treatments. A good way of testing is by spraying water on your car and checking for beading. If the water runs off almost instantly and beads on the surface of your car, then you know it’s not yet time for another treatment. Wax is often considered easy to apply and many vehicle owners choose to do so themselves. Of course, it’s worth mentioning that the best results are those achieved by professionals with the best quality products and experience. Wax is even easier to apply than polish and does not require nearly as much elbow grease. Ceramic coatings, on the other hand, are best applied by professionals. This is a specialized product that requires the correct application for best results. Incorrect application and have uneven results. Price is always a concern when it comes to vehicle maintenance. At first glance, ceramic coatings seem to be more expensive but this is only the initial cost. When you consider regular wax applications compared to less frequent ceramic treatments, it makes sense to invest in a superior treatment that will help you save time and money in the long run. Remember, once the paint starts to fade and becomes increasingly dull, there is no going back. Prevention and protection are always the best solutions. A car is an asset and an investment. It’s not something you buy every month or year. Unfortunately, no matter what you do, you cannot control the weather or the elements that cause damage over time. What you can do is ensure that your vehicle maintains its value by choosing the right treatments. Even a brand new vehicle can benefit from the application of a ceramic coating. Remember, just because you have a Ceramic Pro coating does not mean that you no longer need to wash your car. Regular washing and care are important for maintaining the treatment and keeping your vehicle in top shape. 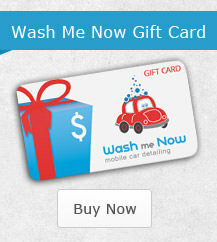 At Wash Me Now, we offer a variety of ceramic coating options and packages. Each of them is designed to cater to different needs and budgets. Our team has experience working on vehicles of all makes and models, including luxury vehicles, sports cars, and even electric cars! Ceramic Pro is not only meant for the exterior of your vehicle. We also offer specialized Ceramic Pro window, wheel, and leather treatments for complete protection for your entire car! 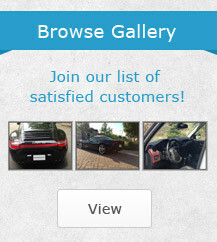 Whether you own a luxury car or family sedan, your vehicle deserves the best. 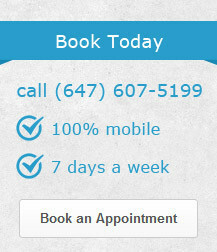 Call us today at (647) 607-5199 to schedule your appointment.